Anita is waiting for Adam to be released from prison. They met twenty years ago, at a New Year’s Eve party in Paris, a city where they both felt out of place—he as a recent arrival from the provinces, and she as an immigrant from the island of Mauritius. They quickly fell in love, married, and moved to a village in southwestern France, to live on the shores of the Atlantic with their little girl, Laura. In order to earn a living, Adam has left behind his love of painting to become an architect, and Anita has turned her desire to write into a job freelancing for a local newspaper. Over time, the monotony of daily life begins to erode the bonds of their marriage. The arrival of Adèle, an undocumented immigrant from Mauritius who they hire to care for Laura, sparks artistic inspiration for both Adam and Anita, as well as a renewed energy in their relationship. But this harmony will prove to be short-lived, brought down by their separate transgressions of Adèle’s privacy and a subsequently tragic turn of events. 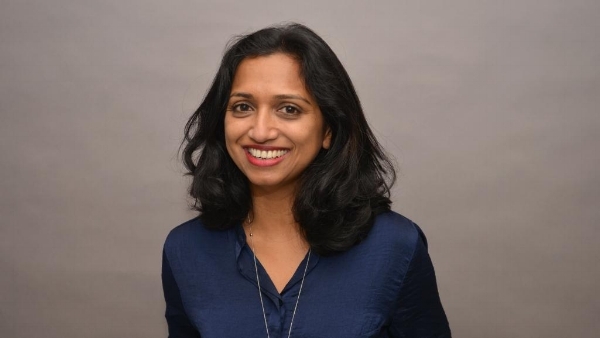 With the careful observation, vivid description, and emotional resonance that are the hallmarks of her previous novel, The Last Brother, in Waiting for Tomorrow, Nathacha Appanah investigates the life of the artist, the question of cultural differences within a marriage, and the creation and the destruction of a family. Nathacha Appanah was born in Mahébourg, Mauritius. She is the author of The Last Brother, which has been translated into sixteen languages. She works as a journalist and translator and lives in Caen, France. 1. Anita and Adam are called “an oddly matched couple” (17). Can you name a few ways their beliefs and desires conflict with one another? By the end of the book, do you think they have become more alike or even more different? 2. 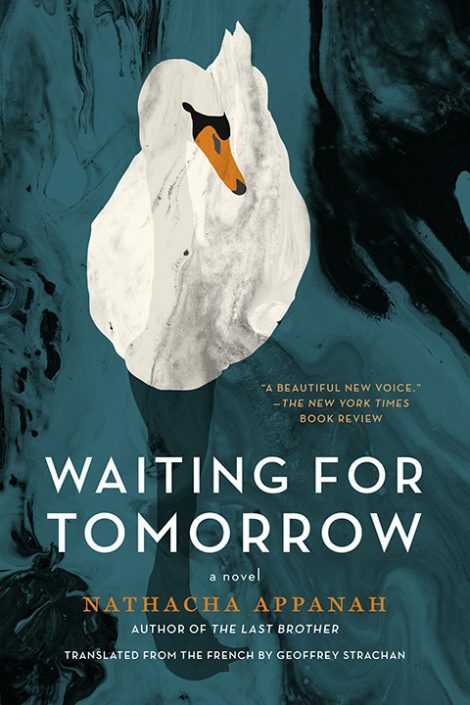 The nonlinear narrative structure of Waiting for Tomorrow gives readers a glimpse of what’s to come. For instance, we know from the second page that Adam will end up in prison. How did this foreshadowing affect your experience of reading the novel? 3. Throughout the novel, the characters savor privacy—soaking up solitude and reflection while drawing, writing, or walking on the beach. What purpose do these private moments serve throughout the book? Is Adèle afforded privacy in her life as well? 4. Belonging, assimilation, and purpose are important themes in the novel. How do each of these relate to the three main characters? 5. Towards the end of Waiting for Tomorrow, Anita notes that both she and Adèle “grew up under the same tropical sun, they like the same food, the same music, they speak the same language, they have lived beside the sea but have never learned to swim, they could have been sisters” (139). Do you think Adèle would agree with this statement? In what ways are Adèle and Anita different? 6. How does Waiting for Tomorrow complicate the ideas of artistic expression and exploitation? 7. Anita writes her novel from Adèle’s perspective. How does she develop Adèle’s character? What are the similarities and differences between the voice Anita gives Adèle and her real voice? 8. At which points in the book do Anita, Adam, and Adèle experience homesickness? How are their experiences of these feelings different? How are they similar? 9. How does Waiting for Tomorrow fit into current conversations and controversies around immigration, both in Europe and across the globe? 10. In what ways is Laura a peripheral character in this narrative? In what ways is she the most central character?